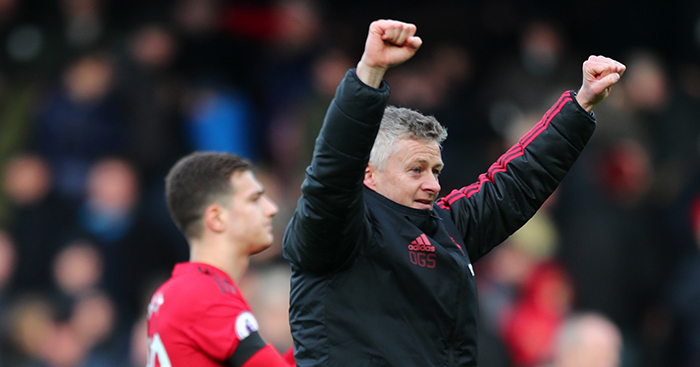 Manchester United interim manager, Ole Gunnar Solksjaer has made history after winning the Manager of The Month award with wins over Newcastle, Tottenham, Brighton and Hove Albion and drawing with Burnley. 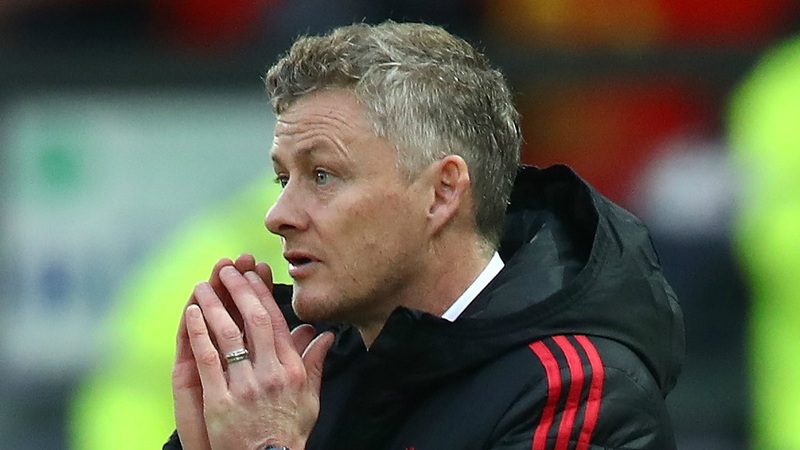 Solksjaer gathered 10 points from a possible 12 in the month of January making him the first manager since Sir Alex Ferguson to be crowned as the Premier League manager of the month in January. The 1999 treble winner cut the gap of top four from 11 points to being in fourth place after registering 10 wins in 11 games after United beat Fulham 3-0 at Craven Cottage on Saturday. “We want to move up the table and this is the start of it. The more you know the culture of the club, the culture of the players and the way that we have been successful, that has helped Me.” said Solksjaer. The Norwegian emphasized on the fact that knowing the culture of the club and playing it in it’s way has helped the club turn around. The 45 year old beat Burnley’s Sean Dyche and Southampton’s Ralph Hasenhuttl in the voting. Solksjaer becomes the only united manager to win the award after Ferguson won it back in October 2012. Meanwhile, Solskjaer’s ace striker, Marcus Rashford wins the Premier League player of the month after netting three times in six starts under Solksjaer. It meant United did the player and manager of the month double for the first time since Dimitar Berbatov and Sir Alex Ferguson won the January 2011 awards. Solskjaer’s impressive work has seen him become the fan favorite to permanently succeed Mourinho. An interesting fact is that the last manager to win the Premier League manager of the month but not to be in charge of the team next season was Solskjaer’s right hand man, Mike Phelan. He won it as the care taker boss of Hull City in August 2016 and was named the full time coach in October, only to be sacked in early 2017. Solksjaer was humble when he was asked, how much he feels to be his success after Manchester United’s dream run, “The team deserves every single bit of credit in that respect, they have done it. But I do not look back at being proud of this and proud of that, I have never been that way, I have always looked forward and not sat down before a chapter is finished,” an ambitious Solksjaer signs off. The team will now be possibly facing its biggest test in the form of Ligue 1 champions Paris Saint-Germain in the Champions League. If the United boss can get through those and qualify for the next round, then anything is possible and surely he will be a top contender for the permanent job.